Twin sisters – Cather and Wren – have always stood by each other, whether it was their passion for the Simon Snow book series or coping with their family drama. But when they move to college, the sisters’ opposite personalities drive a wedge between them. Surprisingly, Cath who is not used to forming friendships easily, gets accustomed to her roommate Reagan fairly well. On the other hand, Wren’s new friendships begin to take up all of her spare time. Cath channels her loneliness and feelings of betrayal onto the fan-fiction that the sisters had been writing together. She gives Simon the reality that couldn’t be hers. Somehow, writing becomes her door to the outside world. She joins fiction writing class with an ambition to write to her heart’s content; she becomes writing buddies with a boy from her class and gradually grows close to her roommates boyfriend – all this while taking supreme control over the fanfic and attracting thousands of fans for her own book. What does it mean to be a fangirl? This novel throws light on exactly that. That and the drama which ensues in Cath’s life. A friend told me that I had to read this before reading Carry On by Rainbow Rowell and that is what pushed me to open the book which had been sitting on my shelf for months. 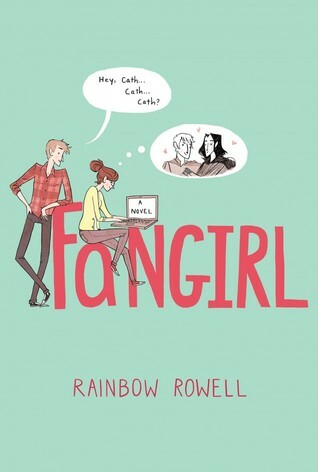 Fangirl has been written so realistically, you can as well imagine being the protagonist. Rowell’s writing style is extremely agreeable and easygoing. She makes you feel like you know all the characters personally and weaves most of them to be very endearing. Initially, I thought that Cath had Agoraphobia (a fear of venturing out into situations and places with large crowds from which escape may not be easily possible) but we learn later that it is nothing major. She displays traits of low self esteem and introversion. 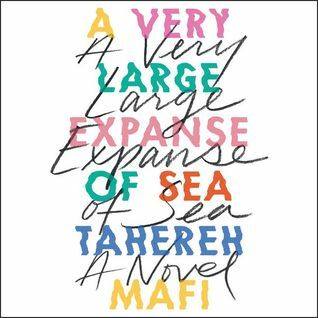 Her preoccupation with a fictional world results in her withdrawal from social settings. But she blossoms into a more confident person after meeting Reagan, Nick and Levi. Whether good/bad, her experiences with these people help her get out of the shell she had made for herself. Wren’s detachment from Cath and the fan-fiction they were writing is inevitable because of the nature she has. She is a person who lives in the moment, at parties and gatherings than through fiction. Levi, Reagan’s boyfriend, is shown to be an optimist. But I found his character to be a little superficial. Cath herself repeatedly emphasizes the fact that he is always smiling, even when facing goons at a party. That sort of dilutes the essence of happiness for me. How can someone be smiling all the time? Their mother left them at an early age. And so they have been living with their father. The bond they share with him is a friendly and affectionate one. The storyline is really good, nothing too extravagant but very grounded. We witness how the sisters deal with different issues in varying ways. Moreover we learn how fans create a totally different world by situating the objects of their praise at an apex and then producing merchandise, alternate endings, costumes and fan clubs. What I didn’t like much about the book were the snippets of Simon Snow stories that were included at the end of each chapter. While I absolutely love epistolary novels, I didn’t like reading Simon Snow because I didn’t know the whole story. So I couldn’t wrap my mind around why the tidbits had been incorporated. That being said, I really enjoyed Fangirl and I look forward to reading Carry On. 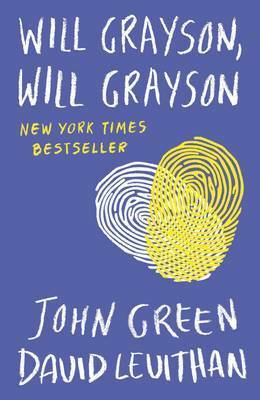 It is definitely a feel-good book and I recommend it to everyone. This is a spotlight feature on an author, Tammy Ruggles, who has written quite a few short stories about prevalent issues like bullying, suicide, abuse etc. I, personally haven’t read any of the short stories, but they seem to be very relatable to many especially incorporating magic realism in one of the books, I Ate The Bully, that features a boy who is brought back from the dead and has the urge to eat people around him (synopsis). Here’s a link to a bunch of stories she’s written – YA Short Stories. Spare a few minutes and check it out? These short stories are available on Kindle. You know how sometimes you like a certain aspect of a movie or tv show or book and you go looking for it in other such movies and books? Sort of like how I fell in love with Twilight and went on binge reading the entire series of The Vampire Academy by Richelle Mead and The Vampire Diaries by L J Smith. Well there are some things that get a tad bit too boring after the second try. Today I’m going to write about some lame (don’t hit me!) Korean Dramas that hopefully I would be saving you the trouble of watching. Firstly Playful Kiss. I mean as far as translations go its absurd but to have a word literally translated into the above mentioned phrase just makes me want to shudder. I was apprehensive – a level 100 on the “things I shouldn’t broach” – and yet because of Kim Hyun Joong I braved myself and began to watch. Now high school drama and puppy love is not lost on me. I get it, its a phase. But to have 20 something year olds acting childish and immature? Nope, not working for me. It just makes the whole drama all the more spoof-like. The concept of having a bad boy who is popular and doesn’t even blink an eye at his so called “fan following” in school has been used so much – it must be discarded ASAP! I do wish I could have picked some better drama for the 16 hours that I spent on this one. I didn’t like the female protagonist’s acting one bit. The ending was a little rushed. For today’s youth, the character of Oh Ha Ni is extremely weak and soppy. She is portrayed as being so desperate for the guy’s attention and even after being insulted she persists. Which shows something about her strong resolve and sense of loyalty but I felt her strengths were misplaced and focused too much on the guy. Then there is Heartstrings. Oh sweet Lord! Why? Unfortunately apart from the music, there wasn’t much I liked about Heartstrings. Maybe if I were a 14 year old I would have bought the plot but in real life, arrogant jerks don’t wake up the next day in love with the docile classmate. Lee Shin’s heartache upon losing his father was one of the other minor things that I could empathize with. Gyu Won was a better female character compared to many others, in the sense that she stood up for what she wanted but sadly, Park Shin Hye didn’t suit well for the role. I really liked her performance in The Heirs and so was looking forward to her in this drama. The sacrificial nature of Gyu Won and Lee Shin’s relationship could have been avoided. In terms of adding conflict it lacked conviction. Plus in many of these dramas that involve a cold hearted lead, his sidekicks are rarely given much lines. They just tag along and contribute a word or two. I guess that’s something I’d like the script writers to work on. Why add so many characters if they don’t serve a fruitful purpose? Its once again a very sappy kind of high school romance based drama that you could watch if you are into the genre. But I’d say download these OSTs and pick something else worthwhile.